Have you noticed a distinct change in your water pressure lately? Water pressure issues are extremely common in households nationwide, and Prime Plumbing Co. is well equipped to help you with yours. 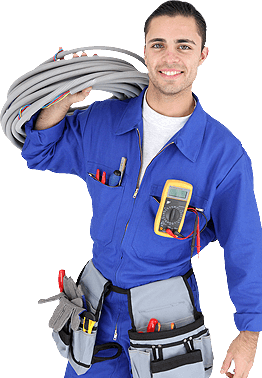 Our technicians have the knowledge and experience to quickly and accurately diagnose the cause of your problem and come up with the best solution to fix it, at the lowest cost to you. I used to have strong water pressure, what happened? In many cases, you’ll notice that your water pressure does not decrease all at once, but rather over the course of months or years. This is typically due to the gradual buildup of different types of debris in your plumbing. The types of debris that builds up can vary depending on which part of your house is experiencing the issue. Dirt and organic matter may enter your water lines gradually through faulty seals, small cracks or holes in the line. This is generally due to naturally occurring corrosion and is very common in Murrieta’s older homes, particularly those with galvanized plumbing. An issue like this will require some routine attention from one of our service providers. Regardless of which of these is causing your issue, our technicians will identify it and arrive at your door fully equipped to take care of it. Each one of them works from a vehicle that is loaded with a full complement of specialty tools and common replacement parts used to get these jobs done right. If you are experiencing a more dramatic decrease in water pressure, the cause may be a little different from those listed above. This may indicate a larger leak due to a recent break or large blockage in your household plumbing. It could also mean that there is an issue with your municipal water provider or even a burst main line. Again, we are here to help. Why am I experiencing High water pressure? An increase in water pressure is much less common than a decrease, and is often a bit shocking and confusing for homeowners. However, the cause is almost always the same, and simple for us to identify. Sudden experience of high water pressure is usually due to a broken regulator, and we are experts at fixing and replacing them. A regulator is a valve that connects your home’s plumbing to the larger municipal water source. The water pressure in the main line from your municipal water source is very high, since they push large amounts of water to many homes in your area. Your regulator is the piece of hardware used to reduce the water pressure so that the smaller pipes in your home do not burst under the heavy load. If you are experiencing this issue, or any of those listed above, please give us a call right away so that we can help you avoid further damage to your home and get you back to your normal routine.